(Photo credit: Showtime Boxing) WBC heavyweight champion Deontay Wilder (35-0, 34 KOs) say he thinks that IBO/WBA/WBO heavyweight champion Tyson Fury (25-0, 18 KOs) will fight him in the future in a unification fight. Wilder says he sees Fury as a tall guy with little power who likes to act like a fool inside the ring. Wilder says Fury knows he’ll get knocked out when he faces him. Fury needs to get past Wladimir Klitschko before there can be any talk of a unification fight between Wilder and Fury. Wilder will be making a defense of his WBC title this month against Artur Szpilka on January 16, but it’s seen as a forgone conclusion that Wilder will win that fight by knockout. Szpilka isn’t much of a threat to beating Wilder compared to some of the other heavyweights in the division like Alexander Povetkin, who Wilder will need to defend his WBC title against in 2016. “I think Tyson (is more likely to fight me), even though he talks a lot I think he’ll fight. I’ll go to London for that. I’ll go to his territory for that one. 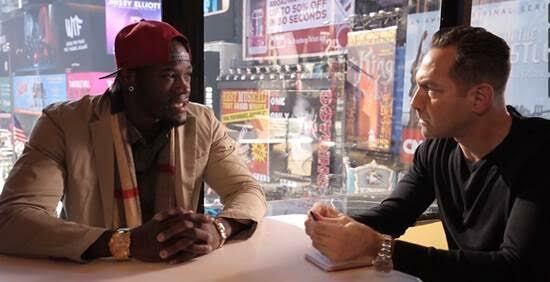 It’s not going to go to the judges,” Wilder said to Showtime Boxing. “He’s just a tall guy, he don’t have no power. He likes to act a fool in the ring, which I like to as well,” Wilder said about Fury. Wilder is probably correct about Fury being more willing to fight him than Wladimir. If Wladimir defeats Fury in early 2016, it’s quite possible that Wladimir will look to milk his titles by taking on two bottom ranked contenders in order to extend his time as a champion for as long as possible before he needs to defend against a tougher mandatory challenger. It’s doubtful that Wladimir would want to take a risky fight against Wilder. The 39-year-old Wladimir looks to be at the end of his career in terms of him being a world-class fighter. Wladimir can continue fighting for a long time as a contender, but I think he’s at the end of him being good enough to hold down a world title. That’s why I believe that he’ll milk his titles rather than face Wilder if he can beat Fury in the rematch.